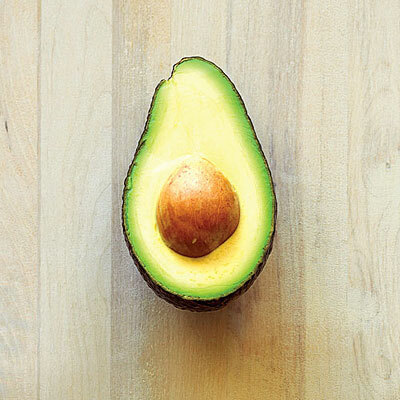 Buy: Medium sized taste best compared to the over-sized avocados. Usually need to be ripened before eating if very firm. Choose softer fruits to eat right away. Nutrition: Red, Yellow, Orange and green – a beautiful rainbow of colours to brighten your dish. Excellent source of vitamin C and beta carotene! 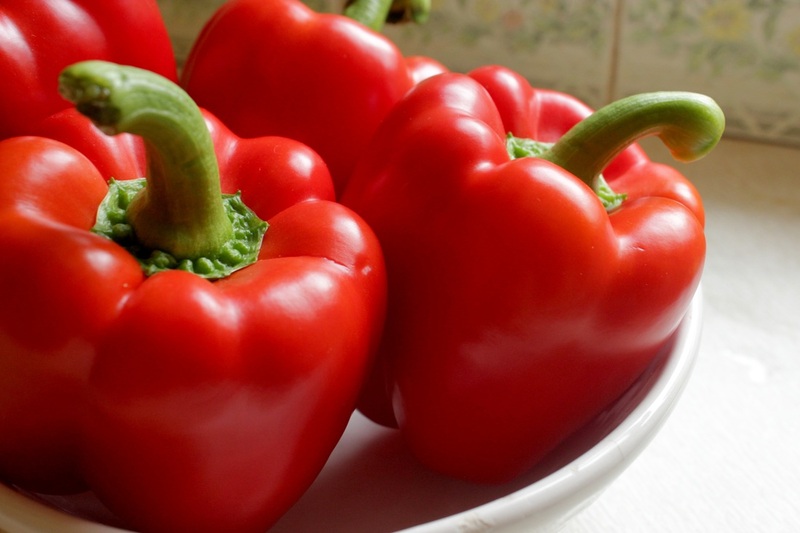 This vegetable has more vitamin C than any other citus fruit, providing over 100% of the recommended daily value of vitamin C. Dark red peppers provide plant pigments called bioflavonoids and phytochemicals that are believed to fight off diseases. How to use: Versatile! Steam, roast, stuff and baked or eaten raw with some dip. Don’t forget that the nutrient value is lost when over cooked. Do not eat the seeds in the center. Nutrition: Good source of fiber and antioxidants and vitamin C. These are best eaten raw to prevent the loss of vitamin C and other important nutrients. Powerful antioxidants that help prevent some cancers, heart disease and urinary tract infections. Drawbacks: May make stools dark (almost black!) and tarry. Buy: Choose plump, firm, mould free blueberries. If buying at the store, make sure the blueberries at the bottom of the container are not mushed. Nutrition: Excellent source of vitamin C and a good source of folate, beta carotene, iron and potassium. 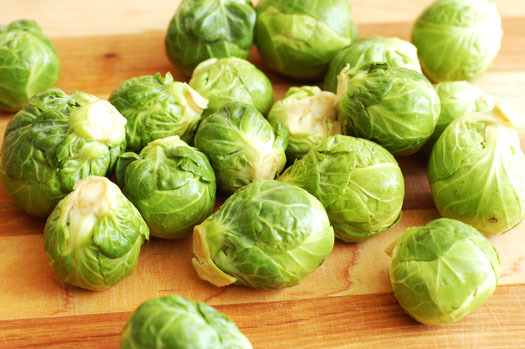 Brussels Sprouts are low in calories, high in fiber and protein (for a vegetable). These resemble small cabbages and share many of the same benefits. Having a high in bioflavonoids content makes these vegetables ideal for preventing diseases. How to use: Very tasty boiled, baked, braised or steamed. Great addition to salads, stews soups and other vegetable dishes. This vegetable tastes great sweetened. 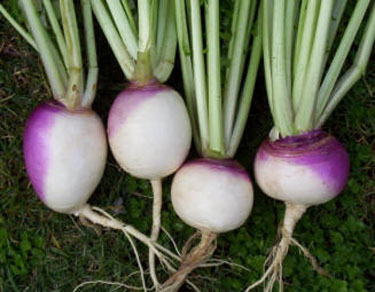 Buy: Look for small, firm, smooth turnips that are heavy in the hand. If the greens are attached, they should be fresh and leafy. Wilted or yellowed tops indicate that turnips are stored too long resulting in a loss of sweetness and flavor.